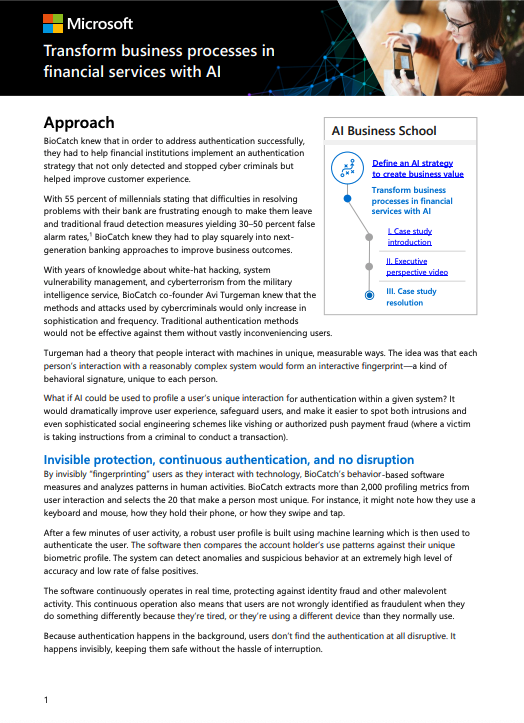 BioCatch delivers significant return on investment and delivers on the promise of secure and seamless online experiences. Delve into the world of behavioral biometrics from the eyes of our customers and see why top tier financial brands choose to work with us. 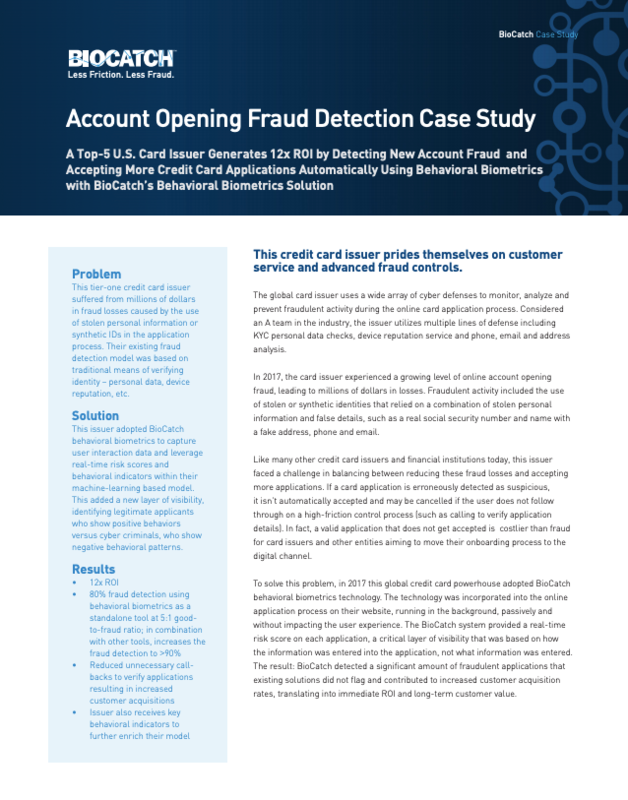 With 55 percent of millennials stating that difficulties in resolving problems with their bank are frustrating enough to make them leave and traditional fraud detection measures yielding 30–50 percent false alarm rates,1 BioCatch knew they had to play squarely into next-generation banking approaches to improve business outcomes. Malware infections and Remote Access Trojan (RAT) attacks are on the rise, enabling cyber criminals to take over accounts from afar and automate fraud. Despite traditional fraud detection measures and cybersecurity safeguards, malware and RAT attacks remain prevalent. 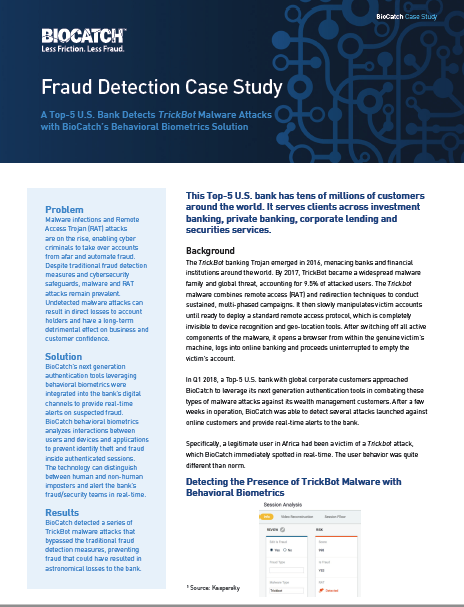 Undetected malware attacks can result in direct losses to account holders and have a long-term detrimental effect on business and customer confidence.